It started with a dare. The winner would get the corner office. 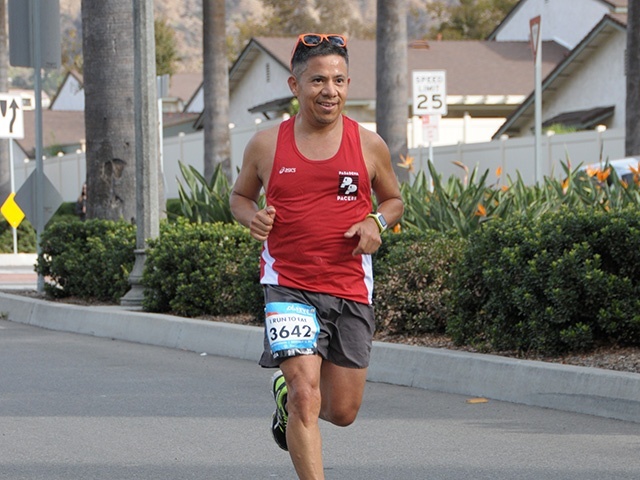 Edgar ran his first LA Marathon in 1992 and won the wager. That lead to several marathons, then triathlons. Until a car accident ruined his bike and kept him from running for seven years. Then five years ago, the madness started again. Today, Edgar is marathon coach at the Pasadena Pacers where he recently celebrated 160+ runners at the LA Marathon finish line. Three years ago he started a speed group that produced 11 Boston Qualifiers for 2017, and 15 (so far) for 2018.